Transition House was created in 1984 by volunteers from the Santa Barbara area who stepped forward to give food and shelter to their homeless neighbors. The Mission of Transition House is dedicated to the solution of family homelessness in the Santa Barbara Community. Capable and motivated families with children are offered respectful, non-sectarian residential services to develop the life skills needed to overcome poverty and permanently regain self-sufficiency. For over 30 years Transition House has worked with faith based and community organizations to provide meals for Transition House residents. 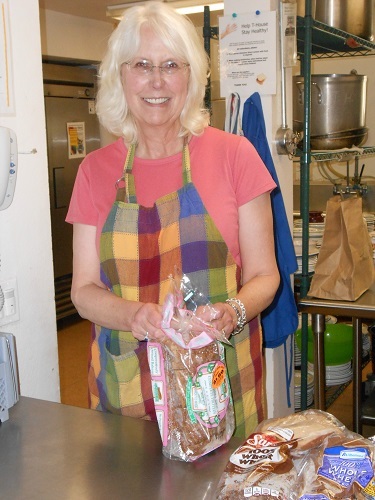 Currently 35 different groups provide one meal per month 365 days per year. 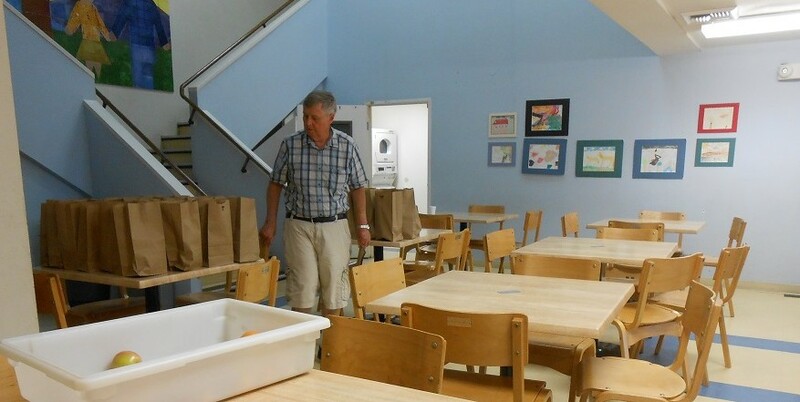 For many years Trinity Lutheran has provided a meal on the 3rd Monday of each month. They feed approximately 60 to 70 residents consisting of families of one or two adults, infants, children and teenagers. How do we do it? The coordinator for the month chooses the menu and purchases the food. The coordinator and 3 or 4 additional volunteers meet at Transition House at 5:00pm. Transition House residents do all of the clean up. They are usually finished by 7:30pm. This has been a pleasant and rewarding volunteer activity. The meal is always well received and appreciated by the residents. This activity has been coordinated by June Brusse, Dorothy Burkhart, Nancy Sittig, and Marisa Grimes. Coordinators ask several volunteers to help them each month. Trinity supports Transition House operations with an annual donation from the church budget. Purchase of food is only made by special designated gifts from individual Trinity members. Members are encouraged to use a pew envelope or the green special designated monthly giving envelope to help with the monthly cost of food purchases. This benevolence is always looking for new volunteers. Because of the sensitive nature of this environment, it is Transition Houses’ policy that no children under the age of 18 can serve. If you would like to volunteer your time please contact any of the coordinators here at Trinity.